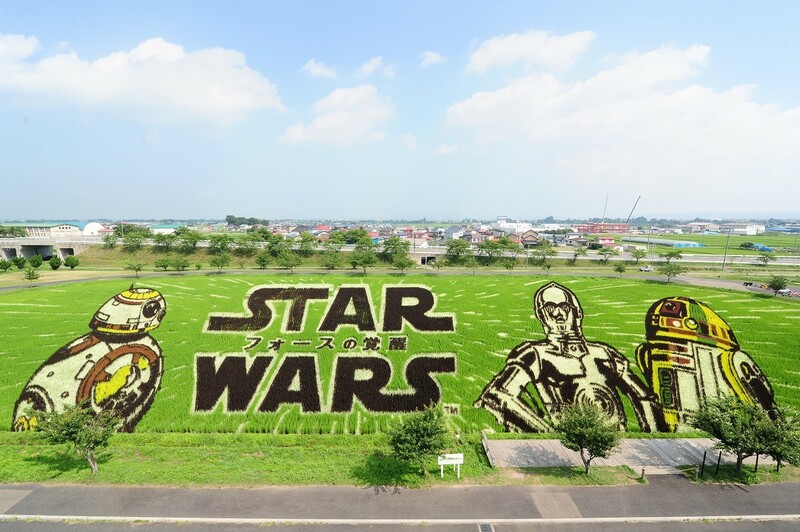 From the ground it just looks like rice shoots …but climb the specially built viewing platforms and the rice paddy fields of Inakate, Japan are transformed into art masterpieces. This rice is too beautiful to eat. 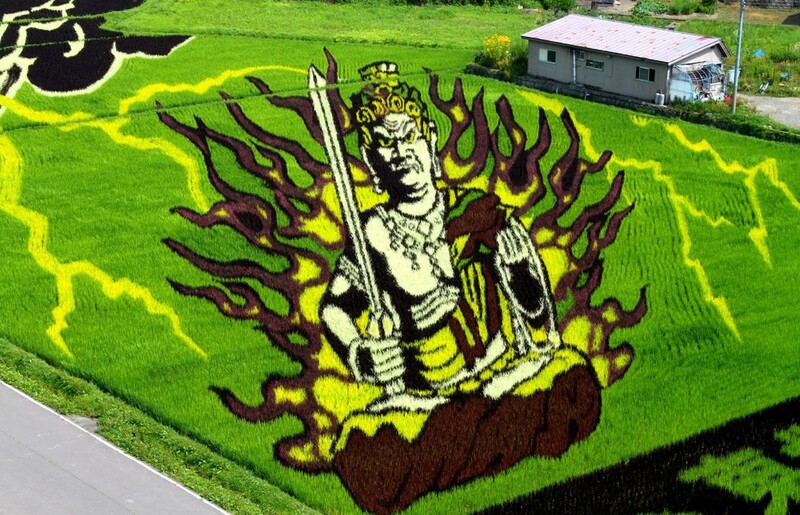 Every March, Inakate, in the Amori Province holds its annual Rice Festival. 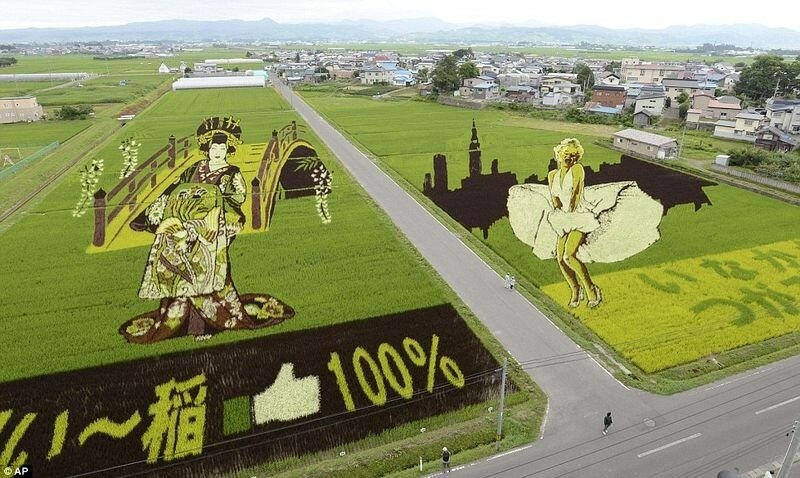 An ingenious art meets nature solution to the problem of attracting tourists. 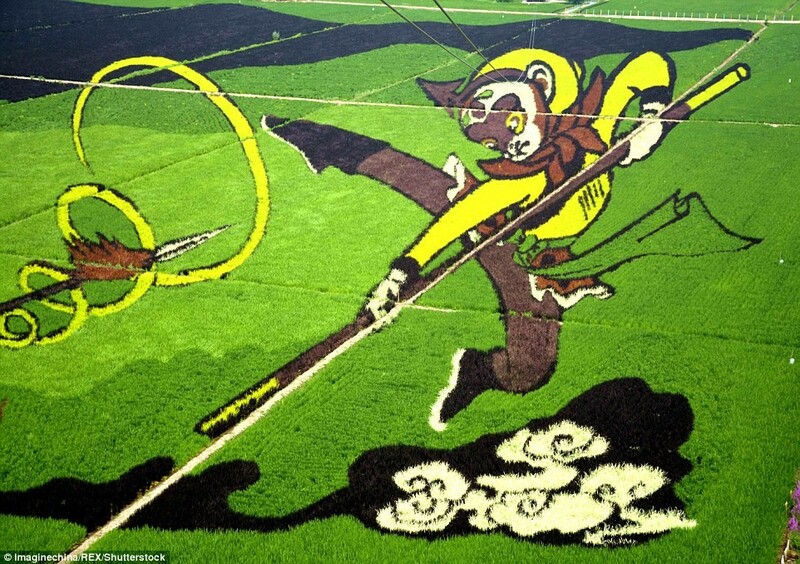 Rice paddy art is made using seven different coloured rice plants. 2017 included designs of Yamata no Orochi – an eight forked serpent – and Susanoo, the Shinto God of the Sea and Storms. Previous years have featured Star Wars characters and even Marilyn Monroe. 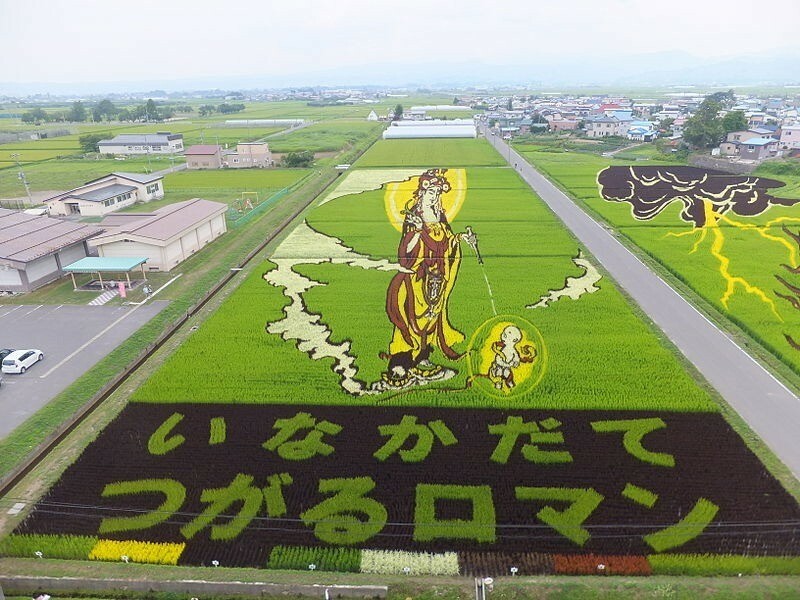 The whole village takes pride in the rice paddy art and get involved in the process, there were over 1300 villagers last year getting muddy in the rice paddies planting the seeds. The first design was of the local mountain Mount Iwaki and the name of the village below it. But since then the designs have got way more sophisticated. “We didn’t think it would become as popular as it is now. Now people everywhere from Tokyo to Osaka associate Inakadate as the village with rice paddy art,” says the very proud Yukio Kasa.